Will ‘ISIS 3.0’ Rise from the Ashes of Mosul? 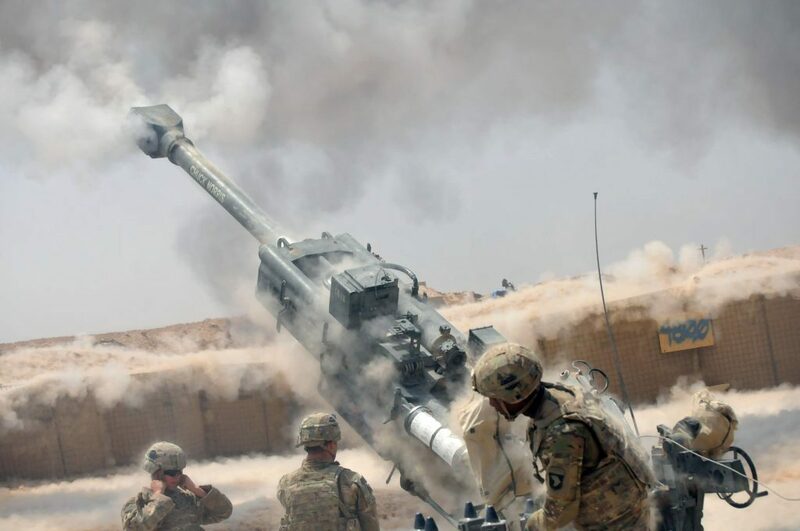 US artillery supporting Iraqi Security Forces in the Battle for Mosul. With roughly three-quarters of Mosul recaptured and Daesh finally on the verge of losing its grip on Iraqi territory, the campaign against them is poised at an important inflection point. Counter-insurgency experts have long understood that the actions of the Iraqi government and the various factions involved in the fighting the day after Mosul is recaptured will largely determine whether the group is defeated, or, once again, rises from the ashes of sectarian conflict. The complex nature of the battlespace, combined with the anti-Daesh coalition’s sprawling nature, promises to complicate the transition from urban combat to whatever comes after. The Shiite-led government of Prime Minister Haider al-Abadi is weak and has struggled to cope with the demands of hundreds of thousands of refugees from the fighting in Mosul. The territorial demands of Kurdish Peshmerga fighters to the north, and possible acts of retribution against Sunni civilians by thousands of Iranian-backed Shiite militiamen to the west of city, cast a dark shadow over the aftermath. A continued spike in civilian deaths by U.S. and coalition air forces could further alienate the overwhelmingly Sunni population of Mosul and surrounding Nineveh Province. And hanging over the entire anti-Daesh campaign is the question of a continued U.S. presence in Iraq after the group is expelled, and whether that engagement can be leveraged to help achieve the long-sought national reconciliation among Iraq’s feuding Kurdish, Shiite and Sunni factions. Will Daesh 3.0 Rise From Mosul’s Ashes? US-China: A Colder Peace or Thucydides’ Trap?